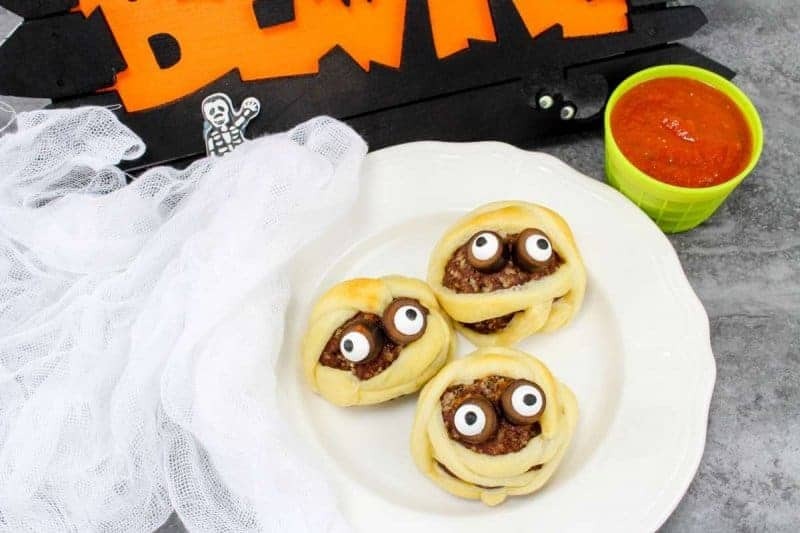 Today I am sharing a fun and exciting recipe here on The Inspiration Edit for Halloween Mummy Meatballs. 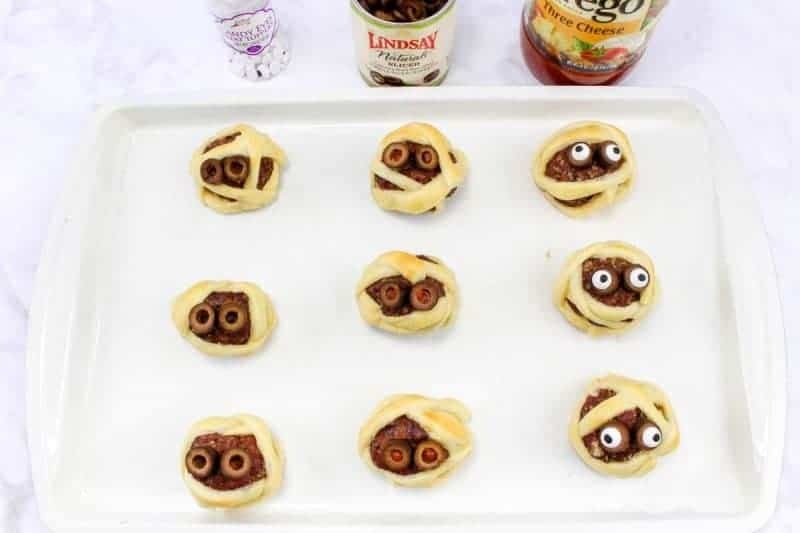 This is the perfect Halloween snack or treat for a Halloween Party. It could also make a great meal in the lead up to Halloween. 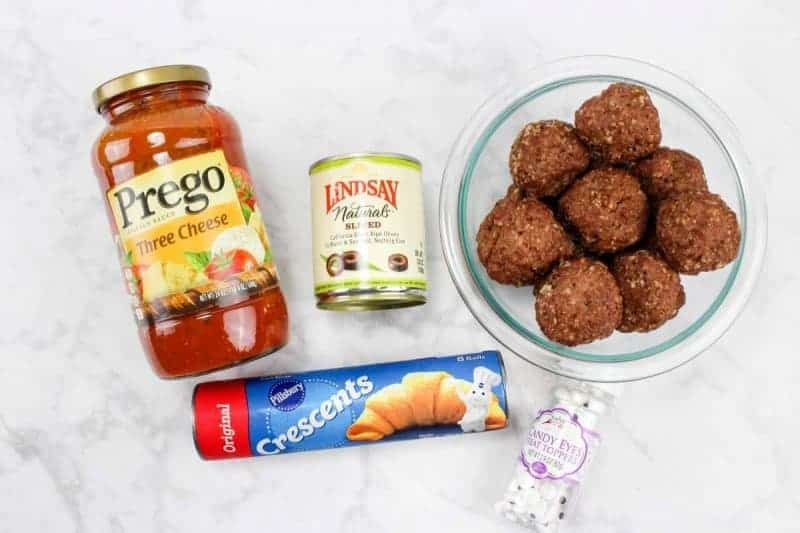 Some people are not fans of meat so you can use the same principle using tuna meatballs or you could make veggie balls using cauliflower or broccoli instead. There are lots of options you could try. 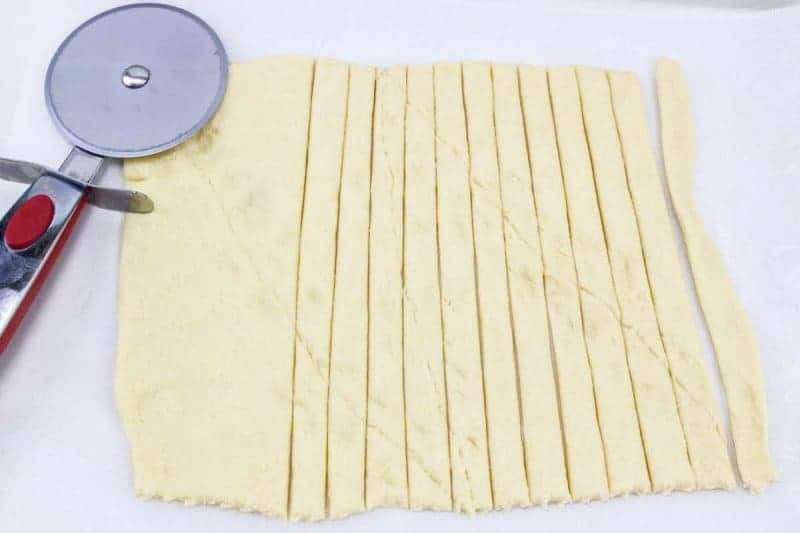 Here is the recipe, I hope you like it. If you buy whole olives, slice them first. Dip 2 olives in a little marinara and place on each meatball. 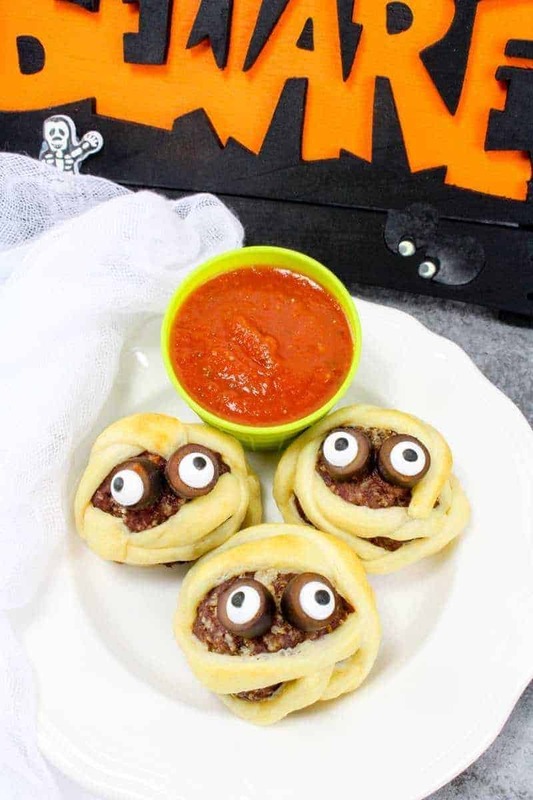 Put a dab of marinara in the olive hole and place an eyeball on each. After you wrap the meatball in the crescent roll dough place them in the oven at 350 degrees for 6-8 minutes or until golden brown. 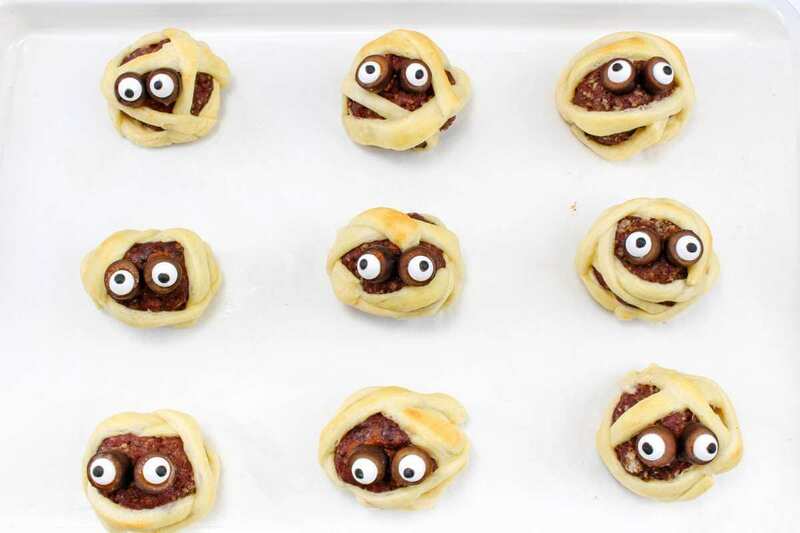 Enjoy these fun spooky mummies! Ok, these are just cute. My littles wouldn’t eat them but my teen who would think me totally crazy would! 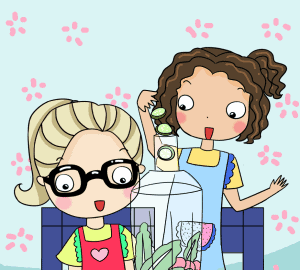 I need to get a jar of edible eyeballs too! 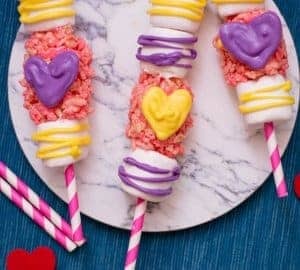 Oh my gosh these look too cute to eat! 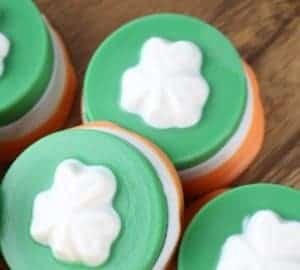 Love this idea and they turned out so fun. I’m for sure going to have to do this with my kiddos this fall! These mummy meatballs are fantastic!! Great idea! Awesome! 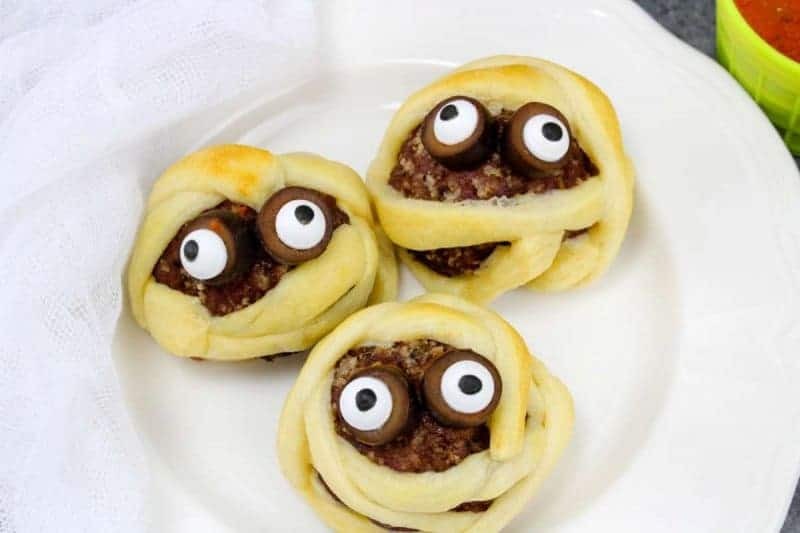 I bet these would great in a lunch box! Hahaha these are cute! 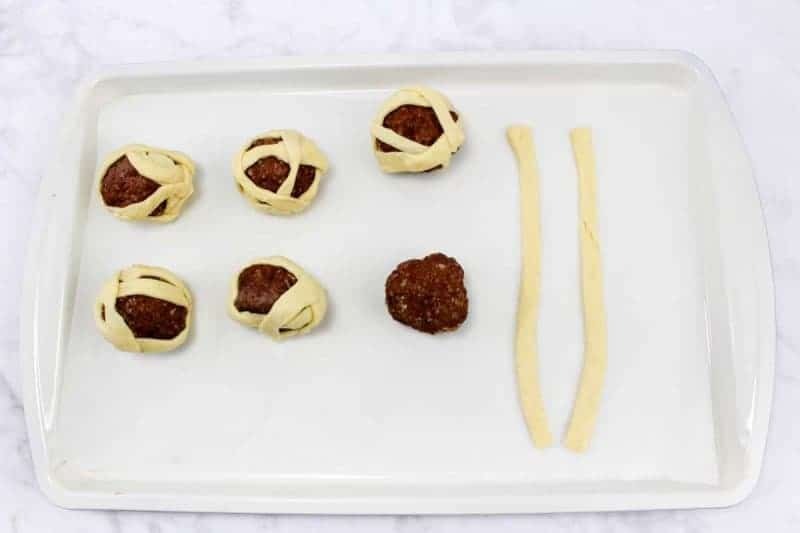 You did a great job preparing these mummy meatballs. Saving this for the halloween. HA!!! THESE are brilliant!! If I ever have KIDS I AM SOLD!!! Adorable and clever! I just found those candy eyes on Amazon and wow; what a game changer! ;) Fun idea! Yes they are super cool! Oh thanks. Crescent rolls can be used for so many things and can be purchased in the UK and overseas.